Small, strong and enduring, and completing the Straumann portfolio for narrow space indications, the Ø 2.9mm implant brings all the Bone Level Tapered (BLT) advantages to narrow interdental spaces. The Straumann Bone Level Tapered (BLT) Ø 2.9mm implant is the implant solution for narrow interdental spaces or ridges. The smallest in the Bone Level Tapered range, it completes the portfolio for narrow space indications and integrates seamlessly with the reliable Straumann® Dental Implant System. Benefitting from the clinically-proven BLT design, it has a parallel body with full-depth thread and three cutting notches for self-cutting in underprepared sites. Its apically tapered design delivers excellent primary stability in soft bone and fresh extraction sockets as it adequately compresses the underprepared osteotomy and allows the clinician to effectively master the patient’s anatomy, even when limited, and protects the anatomical structure with its round tip. 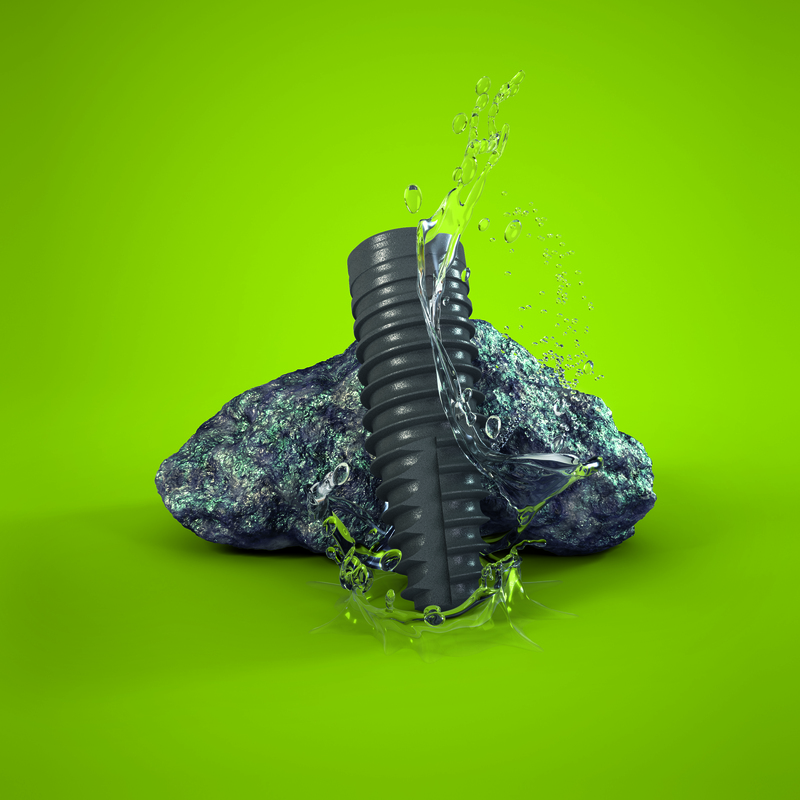 As well as the tapered implant body, all Straumann BLT implants possess the powerful combination of Roxolid®, SLActive®, Bone Control Design™, CrossFit® connection and prosthetic diversity. Roxolid has enabled Straumann to create smaller implants than ever before, thus reducing invasiveness, by preserving bone and minimising the amount of bone grafting required. Roxolid is a high performance alloy, specifically designed to offer higher strength than pure titanium, making these smaller implants possible. Smaller implants increase the range of treatment options available to the clinician and patient acceptance will be higher when less invasive treatment options are offered. The SLActive surface allows fast and predictable osseointegration, enabling safer and faster treatment and higher treatment predictability in challenging protocols. Clinically proven to provide safer and faster treatment in 3-4 weeks for all indications, it increases safety during the early healing phase and leads to a superior structural and functional connection between the implant and vital bone. Bone Control Design optimises crestal bone preservation while the CrossFit connections simplify handling and increase confidence in component positioning, ensuring precision against rotation and long-term flexibility. Prosthetic diversity is ensured by compatibility with the full range of Straumann prosthetic components, including the unique oval design for optimal soft tissue management in smaller spaces. The BLT Ø 2.9mm implant is indicated for single-tooth restorations of the central and lateral incisors in the mandible, and lateral incisors in the maxilla. And coming soon… single use instruments will allow you to place the BLT Ø 2.9mm implant with sterile, disposable burs, drills, taps and profilers, ensuring your instruments are always sharp and minimising the cost and inconvenience of sterilisation. For more information on the range of Straumann® Bone Level Tapered Implant solutions, please contact Straumann on 01293 651230 or visit straumann.co.uk. The Straumann® Bone Level Tapered Implant features the Straumann® Bone Control Design™ and the CrossFit® connection together with its corresponding prosthetic CrossFit® components from the Bone Level product portfolio. 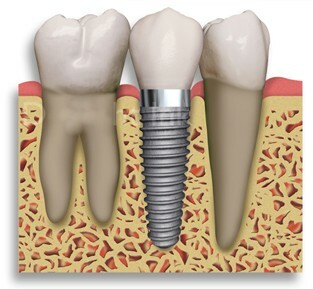 The implant has an apically tapered and self-cutting design which, when combined with our Roxolid material and SLActive surface, make it particularly suitable for anatomically and clinically challenging situations like those involving soft bone or fresh extraction sockets where higher initial stability is required. The Straumann® Bone Level Tapered Implant now includes a surgical protocol using single use drills, profile drills and taps designed for flexibility and efficiency. Single patient drills always comes sterile, sharp, ready to use. After the surgery, simply dispose of the single patient instruments and save your clinic the time for reprocessing and space for storage. For more information on our range of Straumann® Bone Level Tapered Implant solutions, including the new single use instruments, please contact Straumann on 01293 651230 or visit straumann.co.uk. 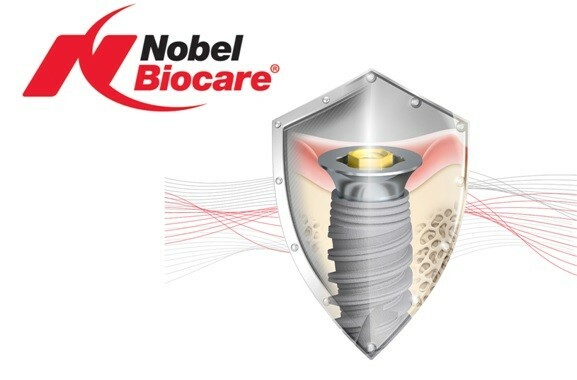 The innovative On1 restorative concept from Nobel Biocare offers practitioners novel treatment options to optimize implant placement and restoration. Raising the connection for restorative components from bone to tissue level, the On1 Base remains in position from placement to finalization, providing undisturbed soft tissue healing. Furthermore, with two height options available, there is the flexibility to change the On1 Base should the thickness of the soft tissue require it in the short or long-term. From here, the On1 Healing Cap or On1 Temporary Abutment can be connected to the base. Both support the intraoral scanning approach, which facilitates conventional impression-taking procedures for maximum accuracy and precision. The On1 concept can be used with three different conical connection implant systems: NobelActive, NobelParallel and NobelReplace, which provides outstanding surgical flexibility and ease of use. For the restorative dentist, the On1 Base allows for an improved patient experience, as well as simplifying the placement of restorative components due to the tissue level base. Discover today how the On1 concept from Nobel Biocare can help you achieve exceptional results for your patients. 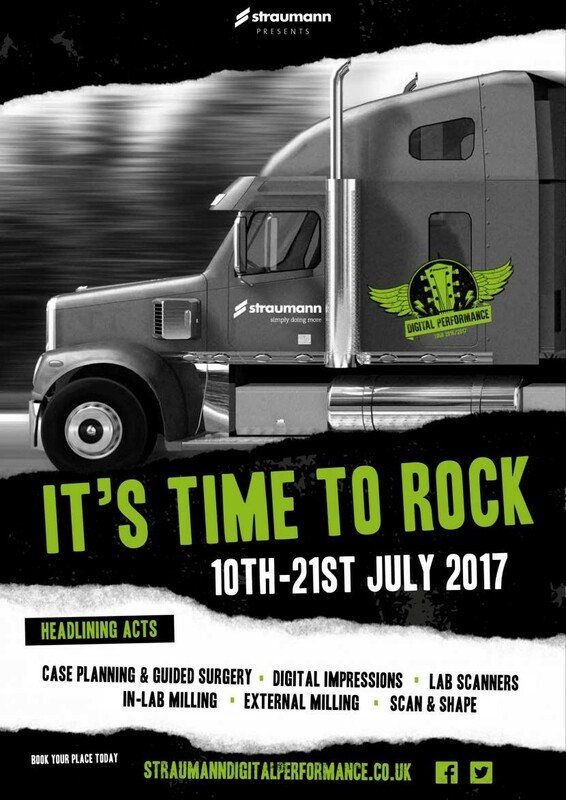 Straumann UK invites you to rock out this summer at one of the most instrumental roadshows UK dentistry has ever seen. They will have you jamming to the tune of digital success as they unveil a number of exciting developments to their digital solutions portfolio. For 10 days in July the ‘Straumann Juggernaut’ will play host to the Digital Performance ‘rock n roll’ themed tour, taking to the road and visiting seven locations across the UK. The highly-anticipated rock fest will showcase to clinicians, tech-nicians and CDTs the potential to amplify their career with the NEW synchronised digital workflow from Straumann® CARES® Digital Solutions. This epic roadshow, is a result of Straumann’s commitment to ensure clinicians, technicians and CDT have everything they need for every step of the treatment pathway. Audiences can expect to see exclusive performances from headlines acts such as Case Planning & Guided Surgery, Digital Impressions, Lab Scanners, In-Lab & Centralised Milling, 3D Printing and Scan & Shape. The new and exciting Straumann® CARES® Digital Solutions offers the complete digital workflow to help achieve pre-cision and efficiency, together with the peace of mind of Straumann’s quality, reliability and service. Combining inter-connected software platforms, open and fully validated workflows alongside a wide variety of materials to offer - Strau-mann® CARES® Digital Solutions is a true benchmark in digital dentistry. • CASE PLANNING & GUIDED SURGERY - The workflow between coDiagnostiX™ and Straumann® CARES® Visual is completely seamless with DWOS Synergy™. Transfer coDiagnostiX™ implant planning to CARES® Visual and receive the restorative plan from the lab technician. Provides complete data visualisation to achieve real-time surgical and restorative case planning. • INTRA-ORAL SCANNING - Designed for high performance, ease of use and optimal patient comfort, the extremely compact Straumann® CARES® IO Scanner and Straumann® CARES® IO Portable Scanner allows clinicians to quickly and easily create digital impression data that can be used to design and produce effective prosthodontic solutions. 3Shape TRIOS® Wireless Intraoral Scanners enhances patient experience, reduces chair-time and unlocks the widest range of treatment opportunities. Backed by continuous software updates, upgradable hardware and add-on treat-ment modules, the 3Shape TRIOS® 3 range of intraoral scanners offers accurate, ultra-fast, powder-free scanning. • LAB SCANNERS - Straumann® CARES® 3Series and 7Series Desktop Scanners effectively combine proven and estab-lished scanning process with the latest computer technology in an elegant, functional design, to accurately scan models and impressions. The scanners combine proven laser triangulation technology with three or five axes of free-dom and are embedded with a powerful PC and several DWOS applications. • IN-HOUSE MILLING & 3D PRINTING - Straumann offers the capability of milling custom dental prosthetics in-house via the flexible Straumann® CARES® Series Milling Units (C, D & M Series). Additionally, the Straumann® CARES® P Series 3D Printer sets a new standard in 3D printing for labs, offering speed and reliability specially tailored to satisfy the highest demands in both the practice and laboratory. • OUTSOURCED PRODUCTION – The Straumann® CARES® Centralised Milling facility operates as an extension of the modern laboratory, with state-of-the art equipment and validated workflows. There is a comprehensive range of products to choose from, including one-step restorations, customised abutments, screw-retained bridges and bars, copings, bridge frameworks as well as full contour crowns and bridges. Alongside this, Straumann offer a variety of materials including multiple glass ceramics, zirconia available in numerous shades and translucencies, cobalt chrome, titanium and polymers. By adding an all-encompassing digital dimension to their portfolio Straumann have added a completely new vibe to their offering – they’re more than a dental implant company, they’re your digital solutions partner. Audiences will be driven wild by the great product deals, insightful presentations and hands-on demonstrations on offer at the Straumann Digital Performance Tour. Plus, with exclusive backstage access to the live music and entertainment on offer, and after parties scheduled at selected locations, the Straumann Digital Performance Tour promises to be a must-attend event for any technician, CDT or clinician looking to enhance their digital offering in 2017 and beyond. Don’t miss the opportunity to see these fantastic innovations at the Straumann Digital Performance Tour. FREE to attend places are limited - to book your place visit straumanndigitalperformance.co.uk, or visit Straumann at TDS / DTS on Stand B10 or call 01293 651230. 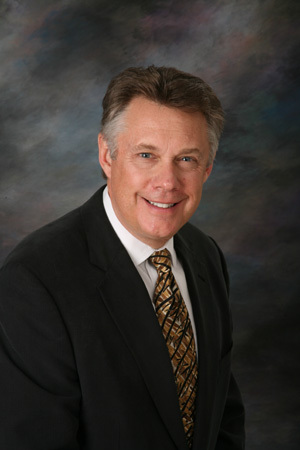 Many of your patients will have chosen implants to replace a missing tooth or teeth. The stability of their implant will depend, in no small part, to the quality of self-care in between appointments. 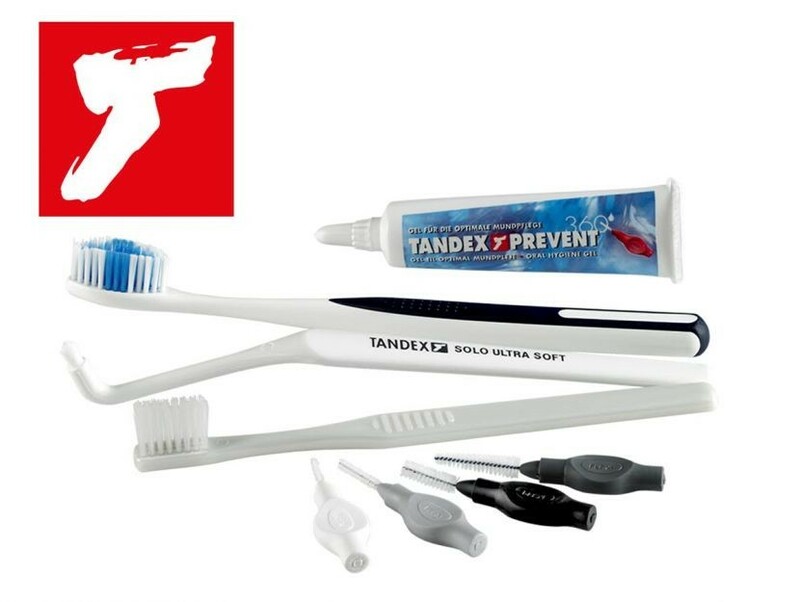 Tandex has a range of brushes and other adjunctive products to answer all your implant patients’ needs. For example, the FLEXI™ is an interdental brush available in nine different sizes for complex implant spaces. The SOLO™ interspace brush will clean efficiently around critical points and give easy access around implants too. Used with a non-abrasive toothpaste, such as Tandex GEL™, your patients will comfortably be able to remove the maximum amount of plaque and bacteria from all surfaces. Proper cleaning will keep the implant stable and help avoid future complications, such as peri-implant mucositis, which can lead to peri-implantitis if left unchecked. A simple routine performed twice a day will protect your patients’ investment. Recommend Tandex to your implant patients, so they can enjoy optimal oral health and implant stability for as long as possible. Nobel Biocare will be among the leading implant product suppliers and manufacturers delivering programmes in the Corporate Forum at the ADI Team Congress 2017. Don’t miss Bertil Friberg‘s session on ‘Treating the compromised patient, what we have learned from 40,000 patients at Brånemark Centre in Gothenburg’ or Alessandro Pozzi’s titled ‘Using technology to solve complex treatment problem – from design to prosthetics’. From the UK, Guy McLellan will explore ‘Treating complex maxillary situations with digital planning, models and quad zygomas’, helping all delegates take their digital workflows to the next level. Entitled ‘Contemporary solutions for complex treatment challenges’, the morning’s lectures will provide delegates with two hours of verifiable CPD and be delivered by world-class professionals in the field. 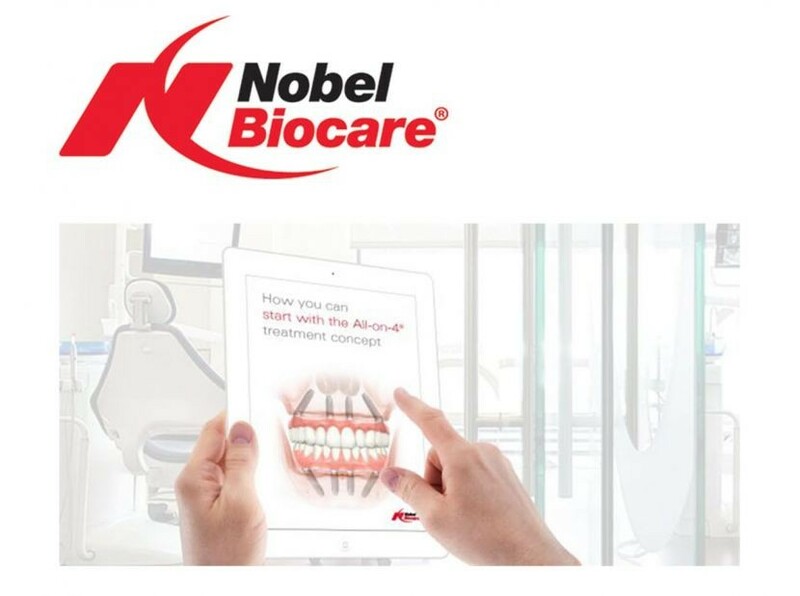 Treat more patients better – don’t miss Nobel Biocare’s Corporate Forum at the ADI Team Congress 2017, Thursday 2nd March from 08:00 - 10:00 in ICC Capital Suite, Level 3 Room 2. 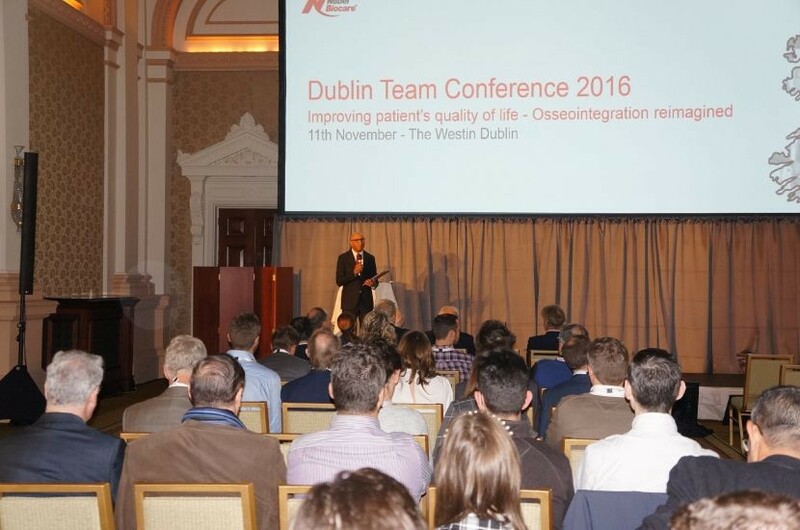 Entitled Osseointegration Reimagined, Nobel Biocare’s Dublin Team Conference 2016 highlighted just how far dental implantology has come since those early days. 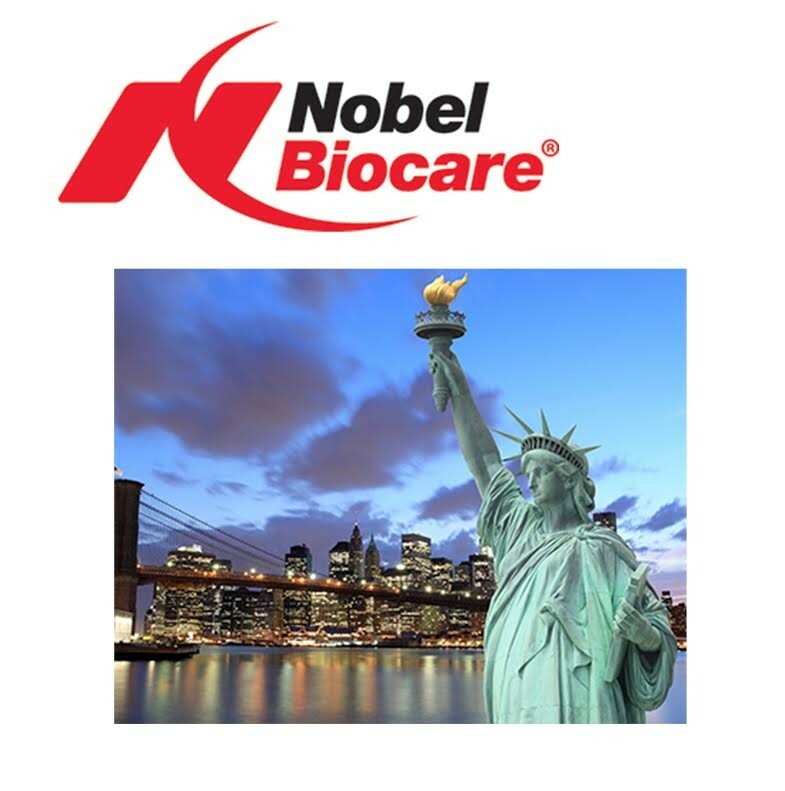 The full-day programme brought a piece of June’s Global Symposium in New York to Ireland, demonstrating Nobel Biocare’s total commitment to education and innovation. 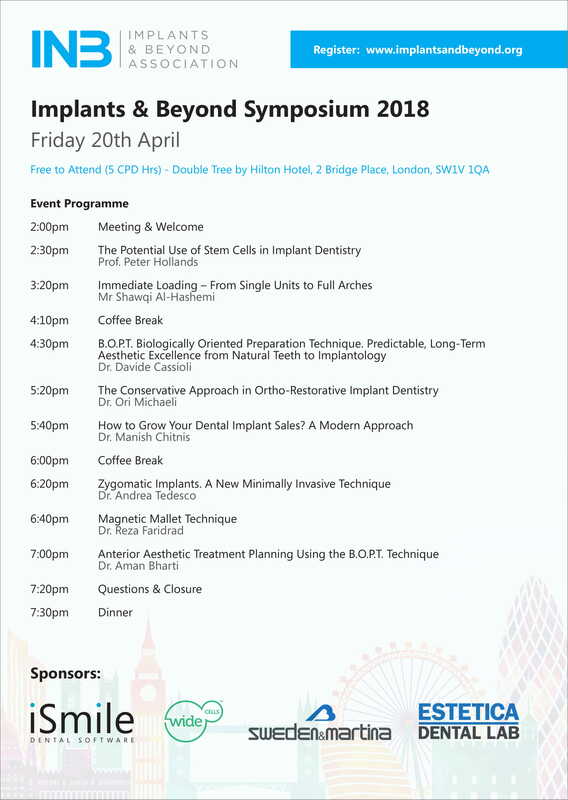 An array of world-class speakers took delegates on a journey through the development of dental implants, with lectures in the morning and smaller masterclasses and workshops in the afternoon. From where it all began, Professor David Harris kicked off proceedings by paying tribute to Professor Per-Ingvar Brånemark, before Dr Bertil Friberg reminisced about what dental implantology was like in the 80s. It seems strange to realise that only 20 years ago, patients had to wear a denture for one year before implants could be placed in healed extraction sites! Professor Hannes Watchel, Dr Ana Ferro and Dr Paul O’Reilly then offered their own experiences from Munich, Lisbon and Ireland, each emphasising the benefits of implants for patients and their quality of life. Modern treatment options for compromised patients were also discussed, with Dr Dawood considering situations where customised implants, cutting-edge 3D printing and innovative ideas were combined to deliver truly life-changing solutions. Exploring the height of implant innovation, the final plenary session challenged the status quo with respect to the digital integrated workflow and CAD/CAM restorations and highlighted the importance of respecting the soft tissue. Dr Rompen also introduced the exciting new On1 concept, which brings the restorative platform from bone level to tissue level for maximum soft tissue attachment and optimised healing. Throughout the morning’s lectures, a clear trend developed. All speakers – regardless of specialism or nationality – were passionate about simplifying the clinical workflow for a faster, more predictable and more cost-effective procedure for the patient. 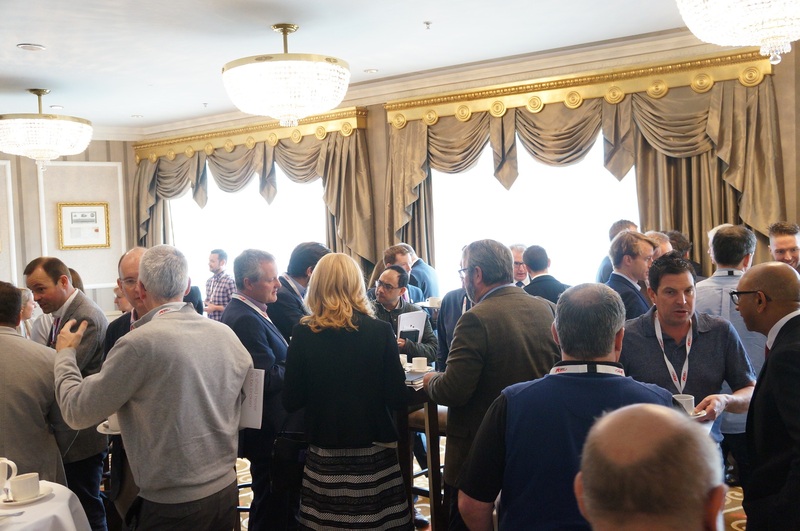 In addition to all this, there were plenty of opportunities to network with industry-leading professionals, while also catching up with friends and colleagues. The Innovation Evening saw delegates and speakers come to together to enjoy a fantastic meal and entertainment, and a great time was had by all. The Nobel Biocare Global Symposium is a must-attend event for all professionals looking to take their implant dentistry to the next level. 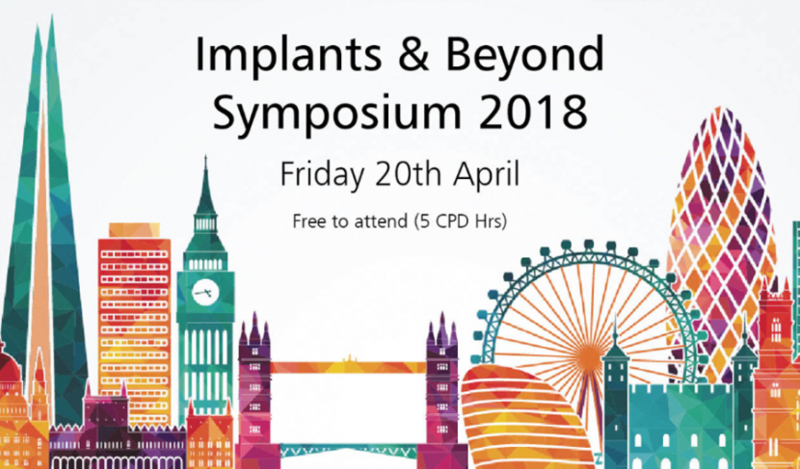 A vast selection of topics will be explored from immediate loading protocols to soft tissue management, materials and techniques for bone regeneration, screw-retained restorations and much, much more. Key Nobel Biocare innovations designed to enhance your practice and help you grow your business will be discussed as well, including NobelClinician™, the All-on-4® treatment concept and the NobelActive® Wide Platform implant. In addition to the outstanding educational programme, the Nobel Biocare Global Symposium will also offer fantastic social and networking opportunities, giving professionals from all corners of the globe the chance to meet and learn from those at the very forefront of the field. To find out more or to register, visit the website today. Visit the Poligrip® stand at DTS! By 2050, 22% of the global population will be aged over 60.¹ This increase in the elderly population may present a greater stress on your dental practice and the need for specialist oral health products. 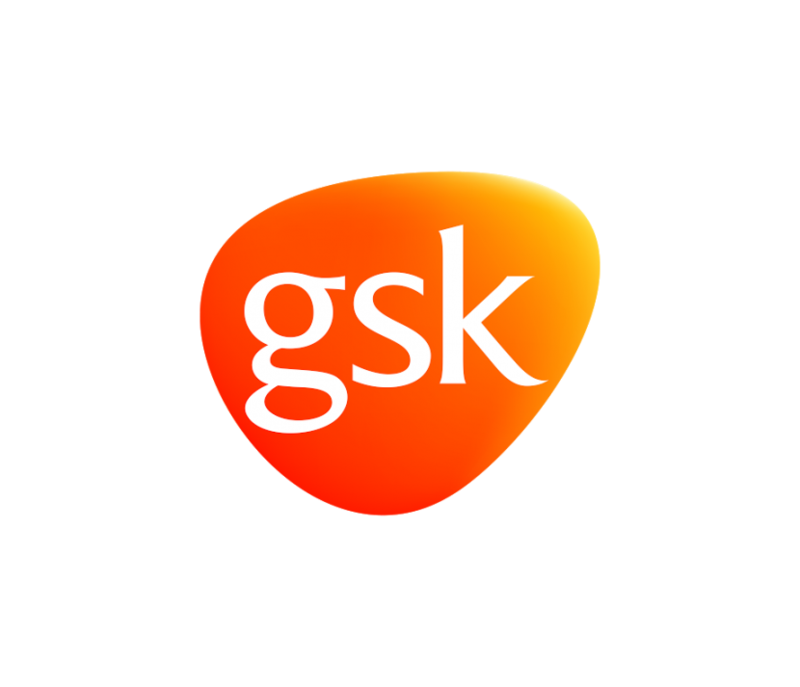 This year the GSK Consumer Healthcare team will be at DTS to showcase one of the UK’s leading denture brands, Poligrip®. Visit stand 630 to find out more about the Poligrip® range of cleansers and fixatives and understand how they can help make your patients’ denture experience more comfortable. The stand will feature additional materials to help support your patients in adapting to life with their new dentures and the Poligrip® team will be on hand to answer your questions. Visit the DTS Education Forum for a GSK sponsored lecture session on “Implants are great, but we still need dentures”. The lecturer, Tim Friel, has been a fully qualified Clinical Senior Lecturer for 28 years. He has a clinical interest in all aspects of fixed and removable prosthodontics and dental care of older people with special care requirements – all which will become evident in his presentation. Visit the DTS Lecture Theatre[SS1] on Friday 22nd April at 12:45 for this unmissable opportunity! “Currently, I use Impregum Penta for all my indirect restorations and implant work: it is a superior impression material,” says Dr Adyl Asani, principal dentist at TwentyOne Dental in Hove. “I have used a variety of other impression materials over the course of my career, though none of these have provided me with the stability, accuracy and level of detail that Impregum has. “Its ideal flow properties also reproduce the most minor details in my preparations and I avoid drags and airblows. This means I can ensure that the first impression is the last. With a focus on translational research, postgraduate education and training, the Institute offers a wide range of study opportunities – Master&apos;s degrees, specialty training, certificates, diplomas, research doctorates and CPD courses – from its twin sites in central London. “I am a firm advocate of the Waterpik® Water Flosser – both for those patients who are having difficulties in maintaining oral hygiene with bridges or crowns, and those who already demonstrate good oral hygiene routines. The Water Flosser is a very effective product and is relatively easy to use, so it’s really beneficial for all. “A patient I’d been treating for several years recently highlighted this. She’d had a bridge fitted about 30 years previously and although her oral hygiene was exemplary, she expressed that the bridge caused her some difficulties, especially when it came to maintaining such a high level of oral hygiene. I suggested she incorporate one of the Water Flossers from Waterpik® into her daily cleansing routine, in an attempt to offer her a logical solution to these issues. “The next time I saw her she was delighted with the results of the oral hygiene adjunct, stating: ‘It’s absolutely life-changing and the best thing I’ve ever used!’ Even I was slightly taken aback by the level of her enthusiasm, but it was great to hear! “A second patient of mine, a reformed heavy smoker, also noticed an improvement in his oral hygiene with the use of a Water Flosser from Waterpik®. Discover the many benefits of clinically proven solutions from Waterpik International, Inc. for yourself, and contact the team today. Goyal CR et al. Evaluation of the plaque removal efficacy of a water flosser compared to string floss in adults after a single use. J Clin Dent 2013; 24:37-42.
appliances. Am J Orthod Dentofacial Orthop. 2008;133(4):565-571. Although dental implants have been used for around fifty to sixty years, it used to be that they were considered very much a last resort, and only really meant for those patients who really struggled with their dentures. However, with recent advances in cosmetic dentistry, and the accessibility thereof, people are beginning to realise that there is a better, more comfortable and potentially more permanent way. Dental implants, whereby a biocompatible titanium screw, inserted into the jawbone, replaces the failed root of the tooth with a prosthetic tooth, crown or bridge are becoming more and more popular. Whilst they’re still considered ‘cosmetic’ dentistry they bring far more benefits than just a lovely smile – they can improve speech which has been affected by tooth loss; improve eating and allow the patient to eat foods which may otherwise cause them a problem; prevent deterioration of the surrounding bone; have no negative impact on surrounding teeth and, due to their completely natural appearance and feel, dramatically improve confidence and self-esteem. As with all cutting-edge techniques, people may have concerns about whether dental implants are for them, what problems may occur, and most commonly, how long will they last? After all, a smile is possibly the most clear and instant form of non-verbal communication and if that’s compromised then life in general can be adversely affected. This is why it is so crucial to ensure you use the very best specialist dental practice, one which has an exceptional reputation in dental implants and restorative dental treatment. When researching which to use, you will need a comprehensive examination and consultation resulting in a distinct and individual treatment plan detailing exactly what treatment is proposed, the total cost of the procedure, what experience the dentist has in this work, and what the alternatives, if any, could be. They should provide clear guidance and instruction on how best to care for your implants along with regular maintenance appointments and ideally as much help and advice as you need, even long after treatment has finished. Meticulous hygiene, inter-dental cleaning, perhaps an anti-bacterial mouthwash and regular check-ups are imperative whether teeth are natural or not and the general health of the rest of the mouth and gums is fundamental to the success of implants – as well as the longevity of natural teeth. Implants themselves do not decay but the build-up of plaque around the surrounding gum can cause inflammation which may even lead to peri-implantitis, a bacterial infection which causes gradual loss of the bone supporting the implant, and the ultimate failure of implants. Inadequate oral hygiene is the number one cause of failed dental implants. A healthy diet, avoiding sugary foods as much as possible is also vital to all dental health and thus the success of implanted teeth, as is the avoidance of smoking. Observation of common sense dental care and overall good health, along with an expert practitioner will give the very best chance of your implants lasting for a very long time – and give you reason to smile for many years to come. Article supplied by London City Smiles, specialists in dental implants and cosmetic dentistry procedures. 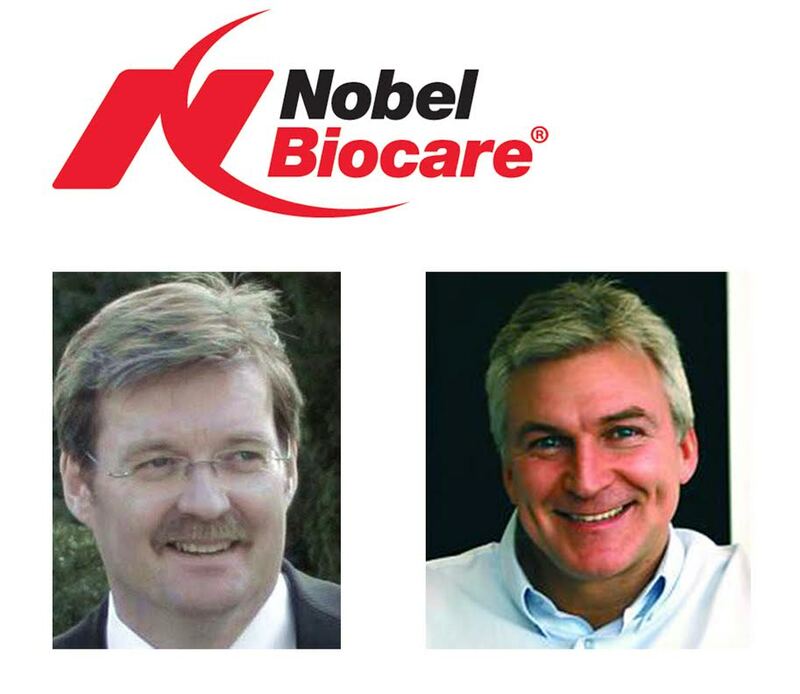 This year, Nobel Biocare celebrates being ‘First for 50 Years’. Having sold more than 11 million units worldwide, the company’s dedication to research and innovation has ensured it remains at the lead of the dental implant field. Today, Nobel Biocare offers an array of cutting-edge solutions to not only enhance clinical outcomes, but to also enable a smooth and easy workflow. NobelActive® Wide platform (WP) implant – features a 5.5mm width to satisfy stability requirements in the posterior region. NobelParallel® Conical Connection (CC) – a parallel-walled implant designed for reliability, enhanced osseointegration and immediate loading. NobelProcera® Angulated Screw Channel (ASC) abutment – offers exceptional access for implant restoration even in limited vertical space within the posterior region. Full-Contour Zirconia (FCZ) Implant Crown – available in eight shades for outstanding aesthetics. All these innovations are available as part of Nobel Biocare’s new complete posterior solution – produced specifically to address common problems faced when placing and restoring implants in the posterior zone. Highly effective as stand alone solutions, together, these products offer even better results. So to find out how Nobel Biocare has remained ‘First for 50 Years’, discover the leading innovations available for yourself. Do you regularly place and restore dental implants? Would you benefit from a comprehensive product solution that ensures exceptional results every time? Have you heard about the innovative new complete posterior solution from Nobel Biocare? Offering a choice of leading implants, abutments and restorative adjuncts, the complete posterior solution has been designed to deliver the increased strength and reliability you need for posterior implant treatments. It consists of the new NobelActive® Wide Platform and NobelParallel® Conical Connection implants, as well as the Angulated Screw Channel (ASC) abutment and Omnigrip tooling™, which enable a wealth of new restorative possibilities even in limited vertical space. The atomically-shaped PEEK temporary and healing abutments further serve to optimise the emergence profile, and the NobelProcera® Full-Contour Zirconia (FCZ) Implant Crown provides strength and outstanding aesthetics to complete the restoration. While effective as standalone innovations, the complete posterior solution ensures predictable and long-lasting results for every patient. Find out more from Nobel Biocare. The CS 8100 OPG unit from Carestream Dental offers a perfect blend of simplicity and sophistication. Designed to produce the highest quality images in the shortest amount of time, the CS 8100 delivers crystal clear, optimally exposed images in seconds. “Our new CS81003D has really transformed the way we diagnose and treat our patients. If you are looking to advance your treatment workflows with cutting-edge imaging technologies, contact Carestream Dental today. The Implant Hub goes live! 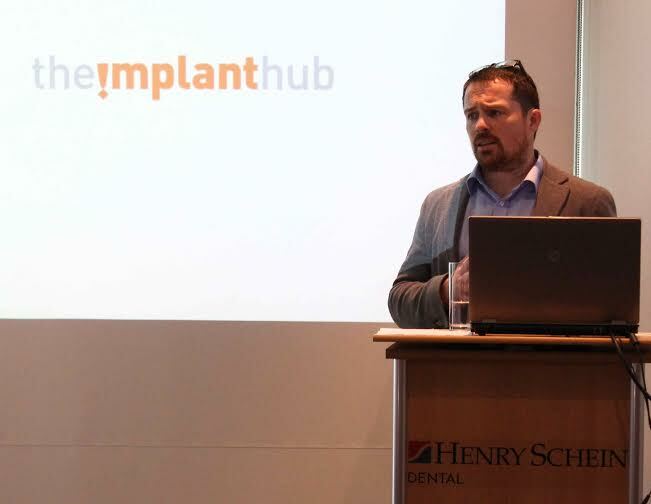 On Wednesday 27th May the dental industry came together to launch The Implant Hub, a unique and exciting new online resource for dentists looking to grow their dental implant business. 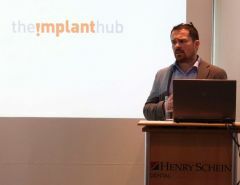 This brand new digital hub, at www.theimplanthub.com, provides information on topics that will directly impact profitability for both GDPs and specialists, supporting the business of implant dentistry. 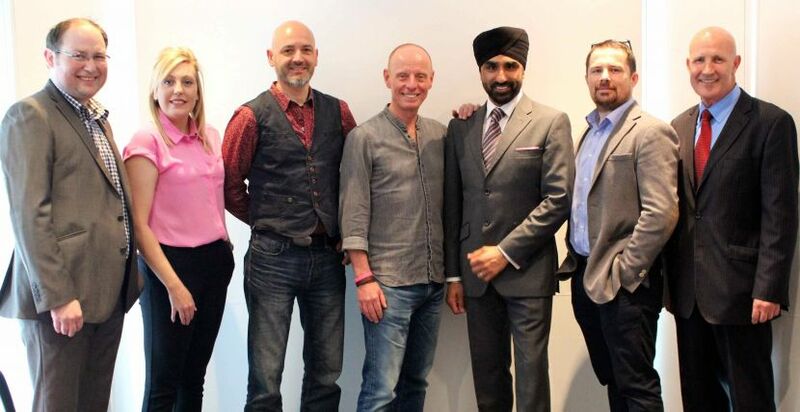 A venue where you can gain valuable insight into growing your dental business, The Implant Hub delivers exclusive support and advice in implant dentistry through articles and blogs to Google Hangouts, as well as LIVE Q&As from our three top coaches: Chris Barrow (Business Coach), Mark Oborn (Marketing Coach) and Dr Nav Ropra (Inspirational Coach). - Why online marketing is more powerful than conventional marketing techniques. To see for yourself what The Implant Hub has to offer your implant dentistry business, please visit www.theimplanthub.com. The Implant Hub is currently available free of charge to all BioHorizons customers. For those who are not BioHorizons customers, please register your details on the website to find out how you can gain full access. The Diploma in Advanced dental Implantology has been designed for clinicians looking to work at the very forefront of the field. The two-year training will be held by the prestigious Faculty of Dentistry at the Royal College of Surgeons England (RCS) and supported by leading dental product supplier Nobel Biocare. This is the 2nd part of an article I wrote outlining my journey of the past 6 years on the Proximerge Dental Implant and why I felt compelled to research and develop a new replacement for the existing dental implants. This is the link to the 1st part:- https://www.gdpuk.com/resources/implantology/entry/420-why-invent-a-new-dental-implant. 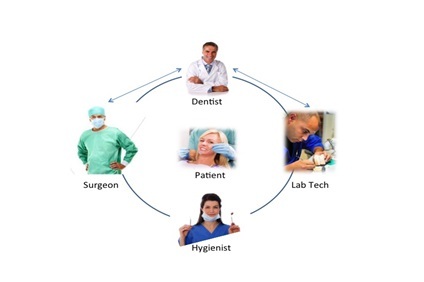 I believe that the Patient is at the center of the Dentist practice, then supported by the finest Surgeon, Dental Lab Tech and Hygienist or Dental Nurse. The Proximerge implant system integrates an eccentrically shaped platform and anchor implant in the jaw. It is the only technology that can anatomically match the profile of the teeth as they emerge from the bone. Proximerge is currently focused on molars (where the problem is the most significant) but the future designs are in development to provide solutions for all teeth and other applications such as implant-retained dentures. All current designs use a single round implant screwed into the jawbone to act as an artificial root for replacing lost teeth. However, the footprint of teeth as they emerge form the jawbone is seldom round so this results in an anatomically poor match. The problem is especially pronounced in the multi-rooted molar region as this approach leaves unacceptably large gaps, which trap food and cause patient discomfort, bacteria build-up, and long-term health risk to bone, gum tissue and adjacent teeth. Accumulating bacteria around implants can lead to toxins crossing the membrane barrier and entering the circulatory system. Research has shown these oral bacteria to be associated with many systemic conditions such as heart disease, stroke, osteoporosis and pregnancy complications. In addition, existing implant designs provide a smaller, weaker foundation, which can lead to crown failure from shearing, fracturing of implant materials and bone loss due to excessive forces. Custom abutments and wider diameter implant designs have been developed to help address these issues but still fall short because the source of the problem is the naturally eccentric shape of teeth as they emerge from the bone. Proximerge is the only technology that can match noncircular shapes in the bone to provide a better biomechanical foundation and anatomically correct interproximal spaces. This system allows the dentist to provide to the patient a final restoration produced by the dental lab tech that biomimic’s the anatomy and morphology of the tooth being replaced. This natural shape is what the patient should expect from the oral health provider that allows the dental nurse-hygienist to instruct the patient on oral hygiene and maintenance. Without excessive gaps accumulating food and bacteria, the patient and hygienist will be able to keep the area healthy and expect a successful implant restoration. Look forward to hearing your thoughts on the implant system.